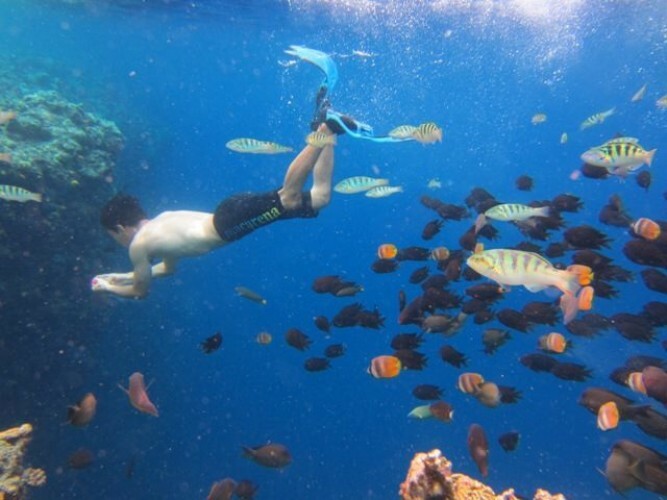 1 Day Snorkeling Trip from Manado to Bunaken. Snorkeling spot: Fukui and Alung Banua. 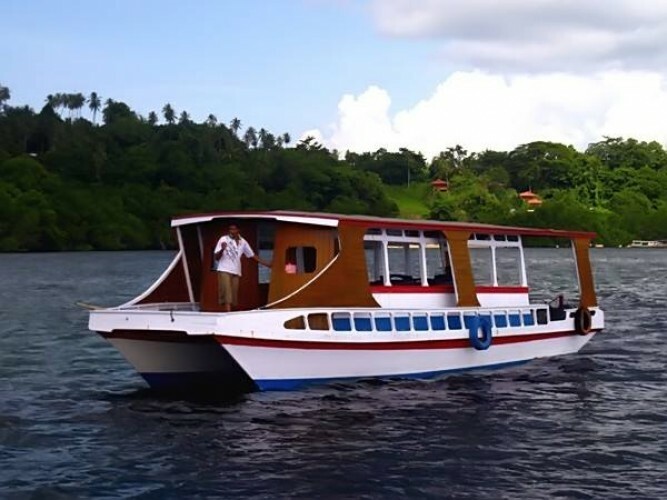 Start from your hotel in Manado, pick up at 7.30AM. You need to be standby at 8AM at Port Marina Manado / ITC Marina. Snorkeling tour in the morning, and back to Manado after lunch. Back from Bunaken around 1.30PM. The Bunaken National Marine Park was formally established in 1991 and is among the first of Indonesia's growing system of marine parks. The park covers a total surface area of 89,065 hectares, 97% of which is overlain by sparkling clear, warm tropical water. The remaining 3% of the park is terrestrial, including the five islands of Bunaken, Manado Tua, Mantehage, Nain and Siladen. Although each of these islands has a special character, it is the aquatic ecosystem that attracts most naturalists. 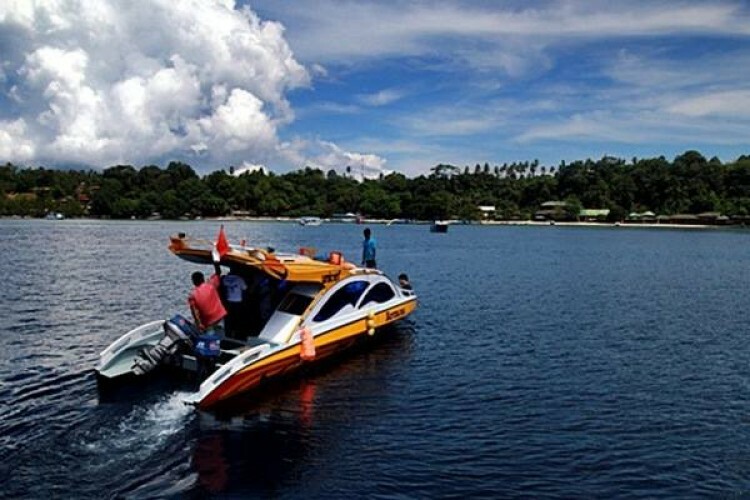 The waters of Bunaken National Marine Park are extremely deep (1566 m in Manado Bay), clear (up to 35-40 m visibility), refreshing in temperature (27-29 C) and harbor some of the highest levels of biodiversity in the world. 7 of the 8 species of giant clams that occur in the world, occur in Bunaken. The park has around 70 genera of corals; compare this to a mere 10 in Hawaii. Although the exact number of fish species is unknown, it may be slightly higher than in the Philippines, where 2,500 species, or nearly 70% of all fish species known to the Indo-western Pacific, are found.